Iran’s Foreign Ministry spokesman has welcomed the formation of the new Lebanese government, expressing hope it will strengthen friendship among Lebanese parties and prepare the ground for further development of the Arab country. “The Islamic Republic of Iran congratulates the Lebanese government and nation on the formation of the new government, which was an outcome of sympathy and understanding among all Lebanese groups and clans,” Bahram Qassemi said Thursday. “This success is not limited to the formation of the government, and indeedshows the will of a nation and its leaders to shape their future within the framework of independence and without any foreign pressure and with unity, agreement and sympathy,” he said. The spokesman stressed the continuation of Iran’s support for stability and security of Lebanon, expressing hope that the formation of the Lebanese government would open a new chapter in the country’s history and improve relations between political groups and prepare the ground for further development of Lebanon. Lebanon’s presidency on Thursday announced the formation of a new national unity government, putting an end to a nine-month stalemate on the political stage, which fueled the Arab country’s economic woes. 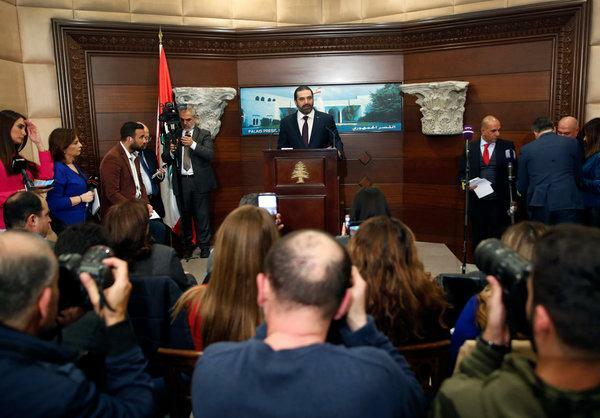 The new cabinet was unveiled during a press conference at the presidential palace in the capital, Beirut, after rival political factions managed to hammer out their differences over the government line-up. The new government — headed by Prime Minister Saad Hariri — includes 30 ministers from most Lebanese political factions, which have been in talks after the country held in May 2018 its first parliamentary elections in nine years. Lebanon’s Hezbollah resistance movement has chosen Jamil Jabak as the new health minister, despite the fact that he is not a member of the movement.